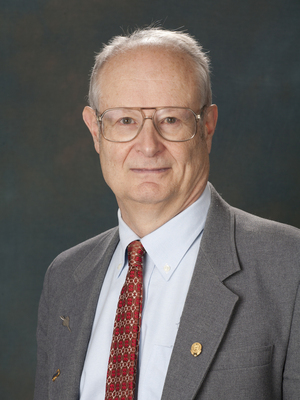 After a post-doctoral appointment at Imperial College in London, Prof. Newsom joined the OSU faculty in 1969 and served as Acting Chair of the Astronomy Department from 1991 to 1993 and Vice Chair from 1993 until his retirement in 2004. His early research was in laboratory astrophysics, studying atomic spectra from the visible to the soft X-ray range. He spent several years in the 1980s analyzing the “moving lines” in the spectra of the unique X-ray binary known as SS 433. With two colleagues, he co-authored an introductory astronomy textbook, Exploring the Universe, which went through four editions and was adopted at astronomy departments across the country. In retirement, Prof. Newsom has been studying the navigation that Richard Byrd used in his claimed first flight to the North Pole, revealing new information on the sources of error inherent in his navigation. Newsom is currently working with the Ohio State University Retirees’ Association and represents retired faculty from public universities in Ohio with the State Teachers Retirement System.